INTELITY™, the provider of the travel industry’s first and broadest enterprise guest engagement and staff management platform, is now live at the Park James, operated by broughtonHotels, in Menlo Park, California. Park James guests now have access to the INTELITY platform including, a mobile guest app, mobile key, and in-room tablets, while their staff is using INTELITY STAFF to organize, manage, and track requests, communications, and work orders on the back end. The luxury boutique hotel, located near Facebook headquarters, opened in September 2018 to cater to the tech-savvy business and leisure travelers the area attracts. Using the mobile app, guests can expedite check-in, communicate with staff, and activate their mobile key before arriving at the hotel., Guests can access additional services through the mobile app and in-room tablets including dining, reservations and bookings, service requests, provide feedback, and more. Guests can also use the mobile app and in-room tablets, through INTELITY CONNECT, to access INNCOM’s room automation system. The hotel staff uses the INTELITY STAFF back office solution to track work orders, guest requests, and service delivery times, so the management team can monitor all staff activity in a single dashboard. 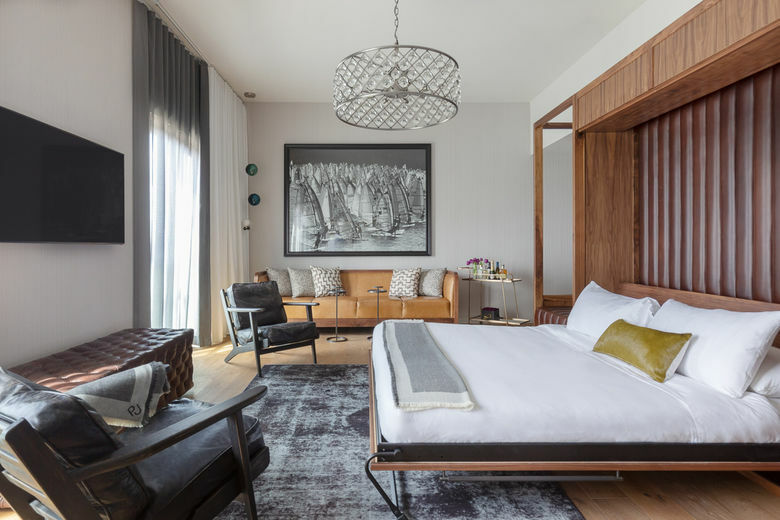 Menlo Park’s most anticipated new luxury hotel, the Park James Hotel, part of broughtonHotels, brings California craft style and hands-on service to Silicon Valley. With 61 well-appointed guest rooms, a unique outdoor courtyard garden and cocktail bar, along with 1,200 square feet of flexible meeting space among other amenities, the Park James Hotel is suited for every type of traveler. Oak + Violet, the Park James Hotel’s signature restaurant, pays homage to California with a menu featuring high quality, hand-picked, and locally sourced ingredients. For further information, visit https://www.parkjames.com/ or https://www.broughtonhotels.com/.